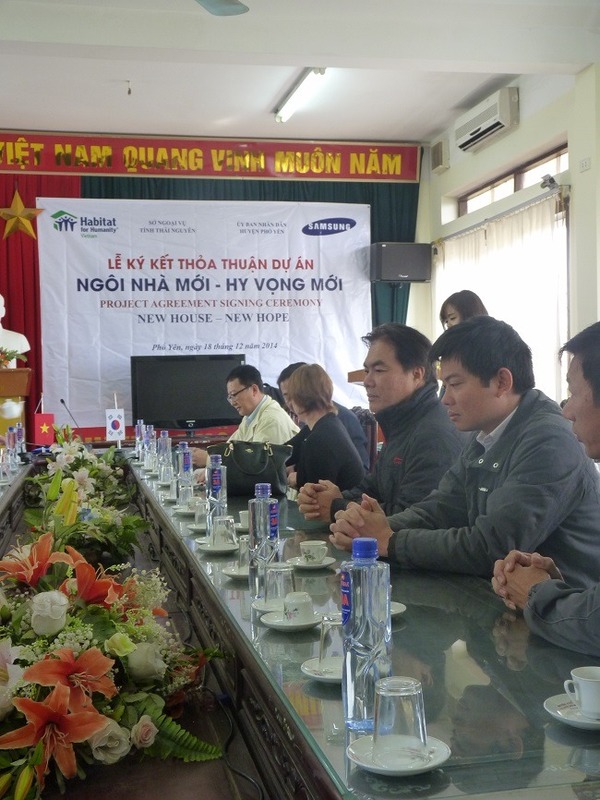 On December 18, 2014, Habitat for Humanity Vietnam and Samsung Korea have signed an agreement and celebrated the beginning of a 91-house project in Phuc Thuan and Thanh Cong commune, Pho Yen district, Thai Nguyen province. 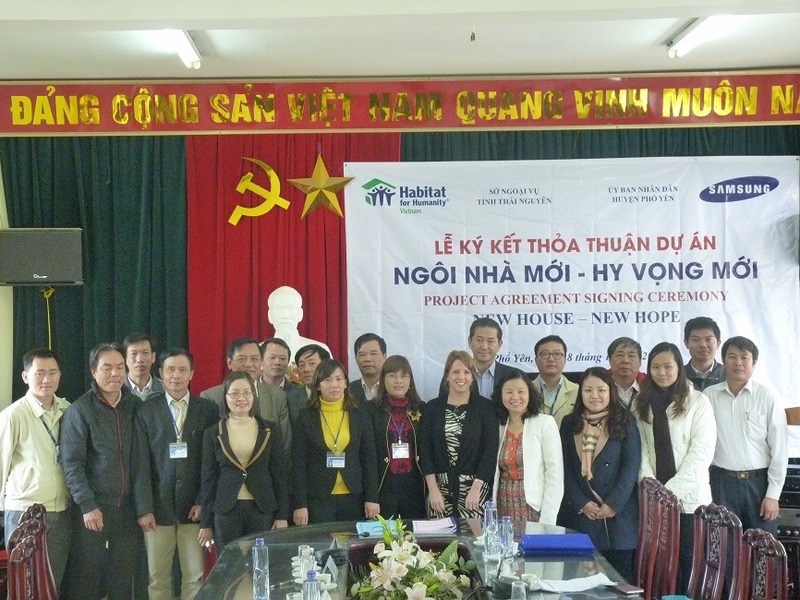 Attended the event was 25 people who are representatives of Habitat for Humanity Vietnam, Samsung Electronics Vietnam and local partners including the Foreign Affair of Thai Nguyen province, People’s Committee and Woman’s Union of Pho Yen district and People’s Committee of Phuc Thuan and Thanh Cong commune. This project will help low-income families, including ethnic minority groups currently living in the mountainous area of Pho Yen district with high risk of natural disasters, to live in decent homes. The ‘New Homes – New Hope’ project will be implemented in one year from November 2014 to October 2015. 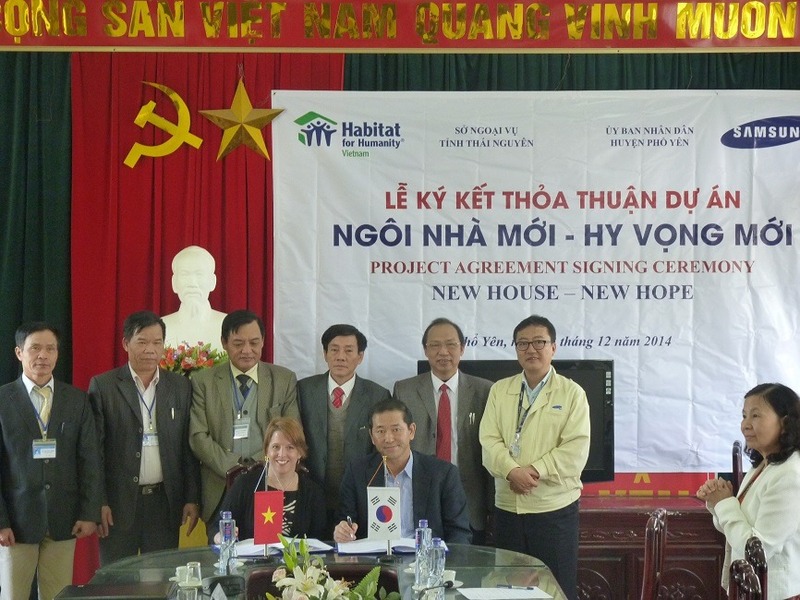 Funding for the project comes from Samsung Korea and Habitat for Humanity Vietnam will provide construction advice and expertise to families wanting to build new homes, repair existing houses, or renovate and water and sanitation systems. 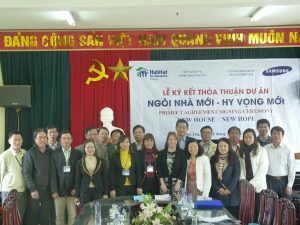 Habitat for Humanity Vietnam will also support community development through training in financial literacy, water, sanitation and hygiene, disaster resilient construction skills and community-based disaster risk management. In addition, two primary schools will be equipped with information technology classrooms to support children’s education in Phuc Thuan and Thanh Cong communes. Samsung Korea’s representative Mr Shim Won Hwan-General director of Samsung Korea Vietnam said “It is the proficiency and diligence of Vietnamese staff working in Samsung’s factories that contributing to the success of Samsung. Therefore, Samsung Vietnam always tries our best to develop the Corporate Social Responsibility (CSR) program in order to help improve living standard of local people, particularly of low income families and ethnic minority groups. 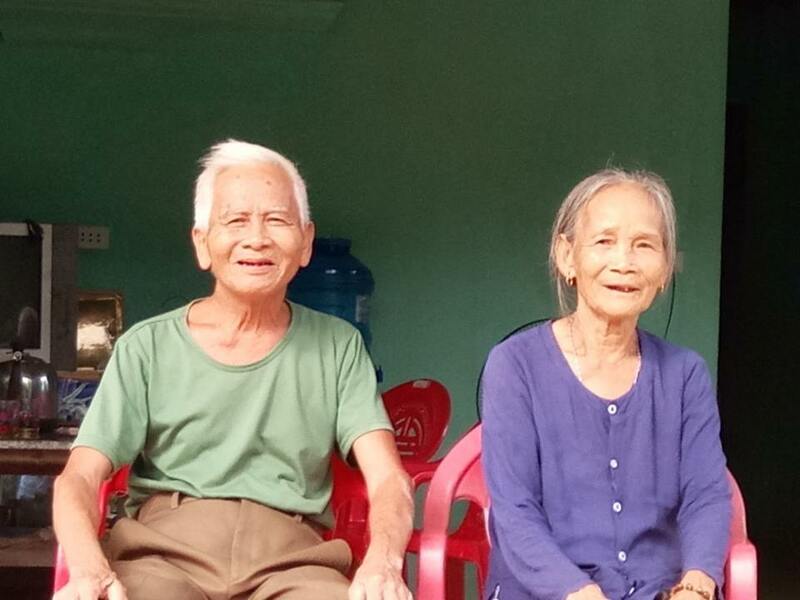 We hope through this project low income households in Pho Yen commune, Thai Nguyen province will obtain a “new home” to build their “new hope” for a bright future”. “Living in a decent home provides a way out of poverty. It opens the doors to improved health, better performance in school, greater economic opportunities and increased community spirit. The financial support from Samsung Korea will allow us to expand Habitat for Humanity programs into Thai Nguyen province and support low-income families currently living in substandard housing. 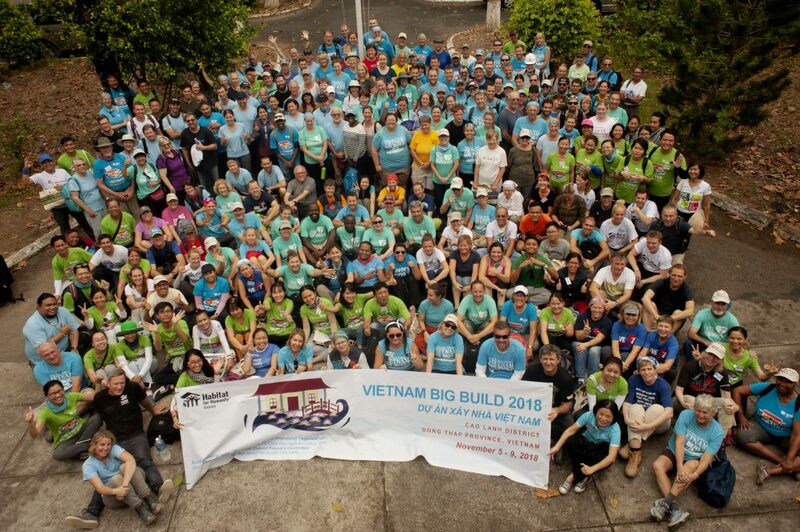 Habitat for Humanity Vietnam views corporate social responsibility not only as an investment in the future for corporate business, but also in the societies in which we work. We are delighted that Samsung Korea are supporting our vision of a world where everyone has a decent place to live. 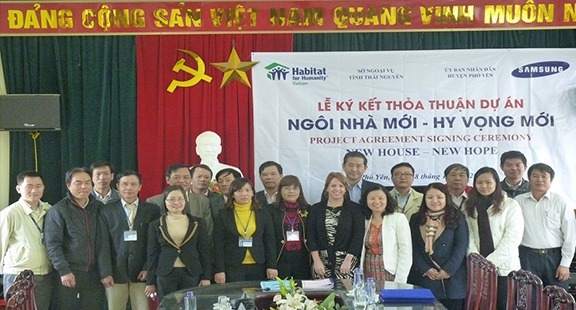 Their philanthropic donation will support low-income families to live in safe, decent and affordable homes” said Kelly Koch, Country Director of Habitat for Humanity Vietnam. Located in a mountainous area of Vietnam, Thai Nguyen province is among the poorest provinces in the country. In 2011, the overall poverty rate of the province was 16.69 percent of province’s population which is 330,707. Although Vietnam has had great success in poverty reduction, Pho Yen is one of the most marginalized districts with livelihoods predominantly dependent on agricultural production such as rice, tea, crops and forestation. Poverty rates are highest amongst ethnic minority groups as they are mostly concentrated in remote areas of Vietnam, with limited access to basic services. The Samsung Korea and Habitat for Humanity Vietnam project in Thai Nguyen aims to specifically support these vulnerable populations.